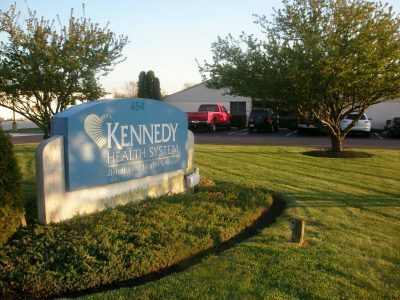 Washington Township, Gloucester County, NJ – Kennedy Health Systems is constructing a $225 Million expansion of its Washington Township Hospital. 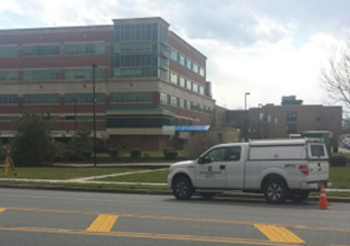 The hospital and its Architect, CRTKL, chose CES to provide full site surveying, site planning, engineering, and traffic services. Initial efforts by CES included a full site land survey to be used in the site planning process. An outside subcontractor identified underground gas, telecom, fiber optic, and other hidden utilities for CES to survey. These vital connections and relocation requirements influenced the final site design. 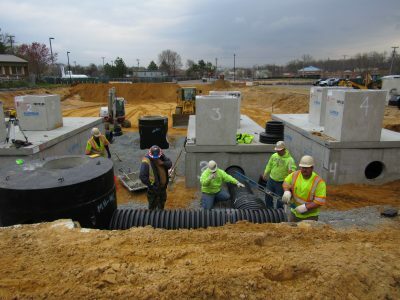 Additionally, relocation of an integral sewerage pump station, stormwater management, traffic and parking considerations were studied and led to off site parking surveying and design. Kennedy plans a new bed tower and parking garage as the first part of expanding and updating the hospital.